I'm sure I've mentioned it several times before but I don't like Westerns at all. Or, I didn't used to like Westerns at all. My Mum really likes them, as did my Grandma. Whenever I used to visit her, she would often have a Western on the tv (but that could have just been because she always had the tv on and at least one of the terrestrial channels has to show a Western in the afternoon - I think it may be a law or something). Anyway, I digress. So, yeah, I've just never liked Westerns. They annoy me. I had never deliberately sat in front of the tv to watch a Western (unless you count Calamity Jane... but they sing! That takes some ofthe pain out of it.) until last year. Forty Guns I'm looking at you. Well, actually I'm looking at Barbara Stanwyck because she's the one who made me start watching Westerns (In my step-Granddad's words "She was a cowgirl!"). I will watch anything with Stany in it and Westerns are no exception. So, just for Stany, I voluntarily watched a Western for the first time. I watched a few more and then BAM! 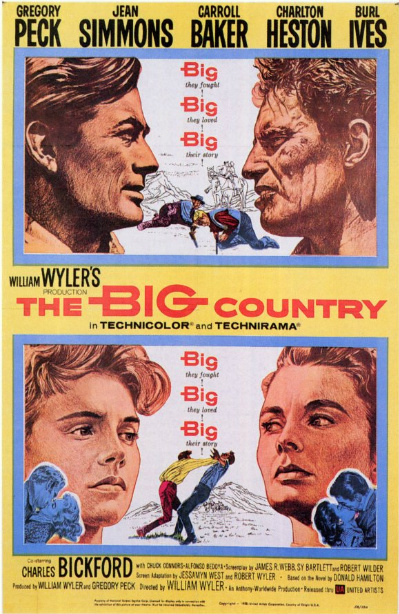 In March I watched The Big Country (1958). Is it legal to marry a film theme? Jean Simmons + Gregory Peck + Charlton Heston + Burl Ives = an absolutely fantasmagorical cast. Oh, and there was Caroll Baker but I have no idea who she is so I'm not going to talk about her. I only decided to watch this film because Jean is in it and, being quite a big fan of hers, I thought it about time that I had a shot at watching it. I thought it would be 165 minutes of blergh but instead, it was 165 minutes of PLEASE LET ME MARRY THIS FILM AND GREGORY PECK AND LET JEAN SIMMONS BE MY BEST FRIEND BECAUSE SHE'S SO INCREDIBLY MAGNIFICENT IN THIS FILM!! Well, Jean is always magnificent, but even more so in The Big Country. Watch it, you'll see what I mean. Meanwhile, here's a taster. Now, I thought about it, for not that long I must admit, and found out that I actually know what's making me enjoy Westerns. The sweeping, breathtaking vistas (that aren't painted -- not that I have a problem with the scenery in Seven Brides For Seven Brothers. If you focus on Jane Powell, you can kind of forget about the backdrop - especially when she sings...). I don't know why, but as long as I get to see vast Technicolor deserts/mountains/plains/whatever every few minutes, I will carry on watching. I do not, however, want any Spaghetti Western/low budget cheap ket, I want the real stuff. EPIC WESTERNS. That's what floats my boat. Give me spectacular scenery and I'm happy. Basically, give me a big country (See what I did there? Yeah.) for 165 minutes. Or even longer because, you see, I have discovered something about Westerns and I want to share it with you all. There are a few exceptions (The Misfits, for example. I think it's just over 2 hours and it doesn't have any Technicolor scenery. It's still incredible though. You should watch it.) but a really good Western will be almost Gone With the Wind-like in length. FACT. Or not. That's more of a personal opinion or just a random observation. It's still true though. Raise your hand up if you agree with me! ... I'm not feeling it. Too much wheel/horse leg action. I NEED MY VAST TECHNICOLOR LANDSCAPES, WILLIAM WYLER. If you're interested, you should check out this "behind the scenes" video narrated by Jean. Good stuff. So yeah... I'm not 100% sure what this post was. I hope it's not too crazy - wait, who am I kidding? Crazy is the new... something. I don't know. But crazy is awesome. Maybe crazy is the new awesome. That doesn't really makes sense but let's pretend it did, k? ;D Speak to you soon! Can I marry this post?! Leave me a comment and tell me what you think about it. By the way, I'm Nathanael Hood from Forgotten Classics of Yesteryear. You're blog has come up for entry into the Classic Movie Blog Association. I've been looking around and I love what I see. You definitely have my vote! I am also not a fan of westerns but am trying to give them a chance. I really liked Big Country also and it didn't feel too westerny to me. 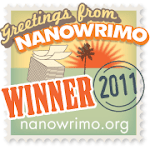 It was as dirty or man-focused as others.